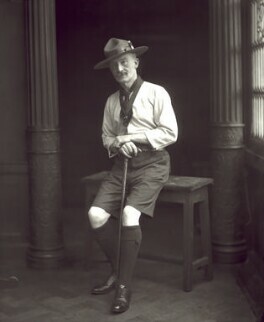 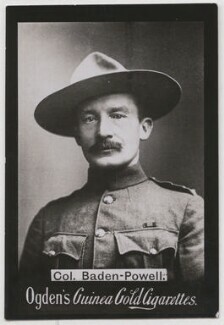 Baden-Powell took part in numerous campaigns in South Africa, (Zululand (1888) and Ashanti and Matabeleland (Ndebeleland) (1896)), but may be best remembered for his role in the Siege of Mafeking from October 1899-May 1900, which made him a national hero in Britain. 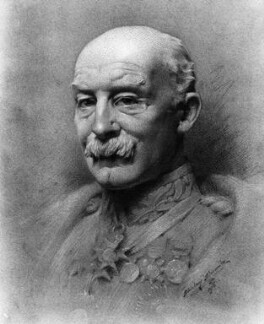 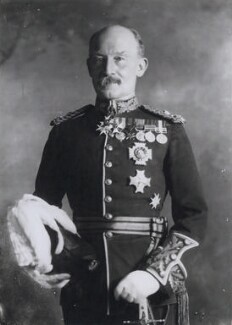 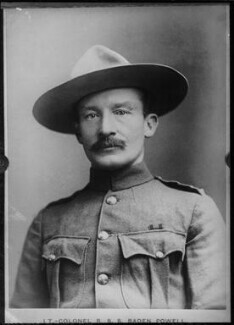 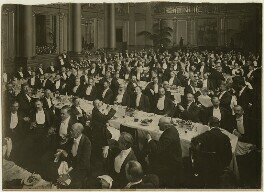 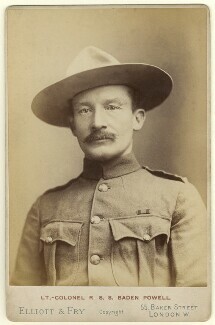 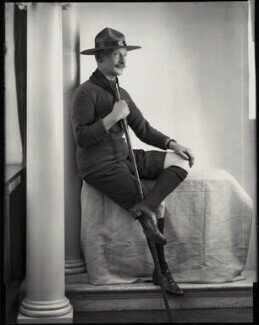 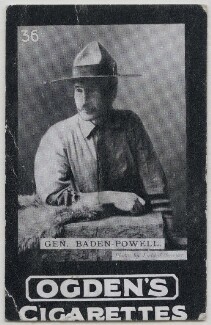 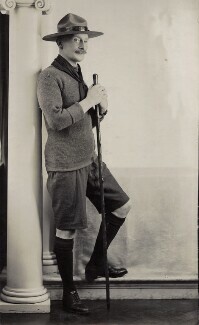 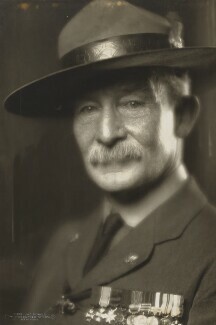 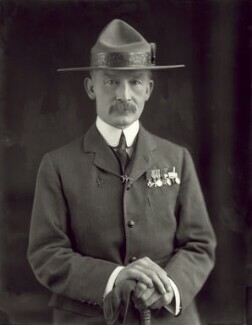 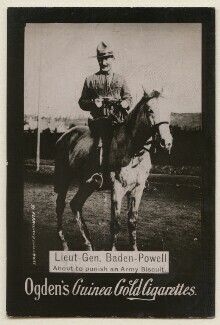 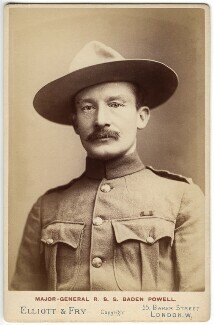 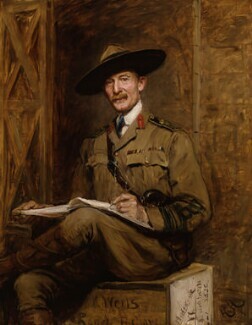 Baden-Powell managed to hold the town while severely outnumbered by Boer forces and with barely-trained recruits for 217 days until reinforcements arrived. 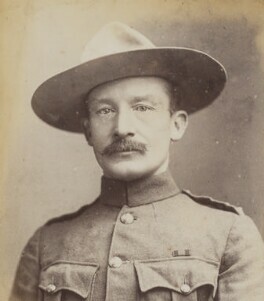 During the siege, a volunteer cadet corps of boys was created to support the troops and the hospital. 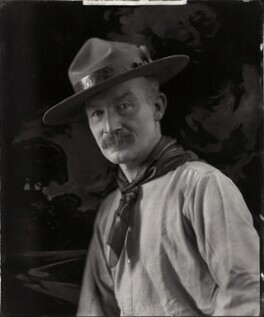 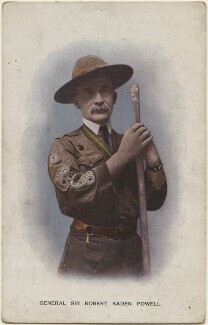 This inspired Baden-Powell to found the Scout Movement (1907), and write and illustrate its first handbook, the bestselling Scouting for Boys (1908), which he adapted from his earlier military manuals.